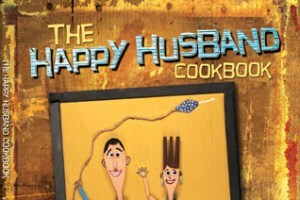 A talented woman with a knack for southern cookin' named Nashville Kat recently sent me a cookbook she wrote called "The Happy Husband" cookbook – and I have to say, that's exactly what it is. From Salsa Bean Burgers, to Rich Scalloped Potatoes, to Goober Pie – there are plenty home-cooked meals to please your husband (and kids) for every week out of the year! To order your own copy, please check out her website!